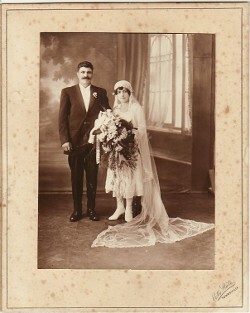 Above: A wedding photograph. With her husband, Neoklis. 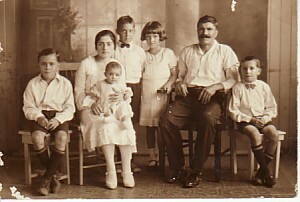 Above Right: With her husband, Neoklis, her daughter, Calypso (sitting on her knees), and her stepchildren, Nikolaos, Efstratios, Eleni and Konstantinos.